When and where did you first hear about Jamie Oliver, Gordon Ramsay or Nigella Lawson? I’m sure the answer for many of you is cooking shows. Wikipedia’s definition of a cooking show says that it is a television genre that presents food preparation in a kitchen studio set. 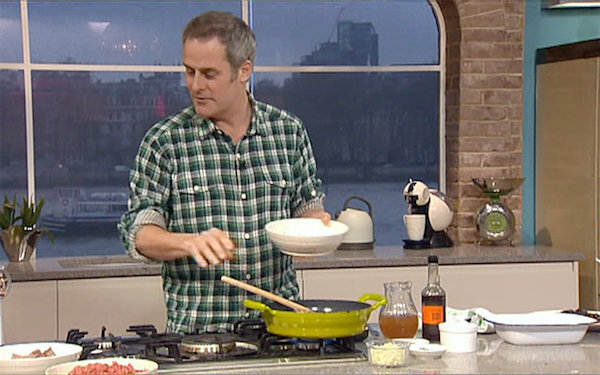 Typically the show’s host, often a celebrity chef, prepares one or more dishes over the course of an episode, taking the viewing audience through the food’s inspiration, preparation, and stages of cooking. Cooking shows are fairly inexpensive to produce. Usually they have a static set, simple formula and can be watched at various times during the day. Also, the content (recipes) can be aired over and over again, which makes cooking shows very suitable for product placement. One of the most famous cooking shows is of course MasterChef, a franchise created by Franc Roddam that started in the UK in 1990. 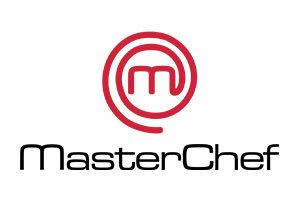 The show’s format has been exported around the world under the same MasterChef logo, and is now produced in more than 40 countries and airs in at least 200 territories. 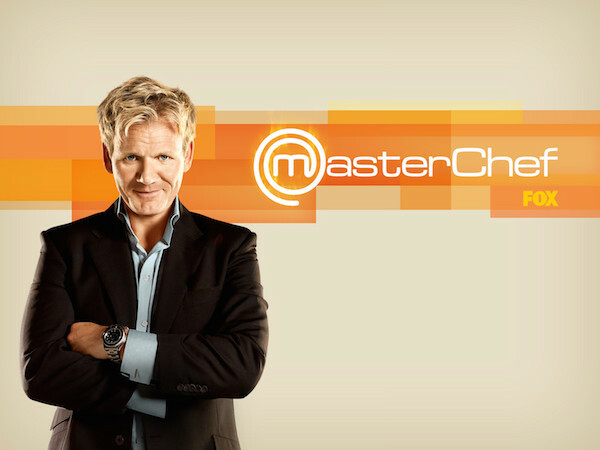 The most famous presenter/judge of the MasterChef franchise is Gordon Ramsay (MasterChef in the USA). MasterChef is hugely popular show. 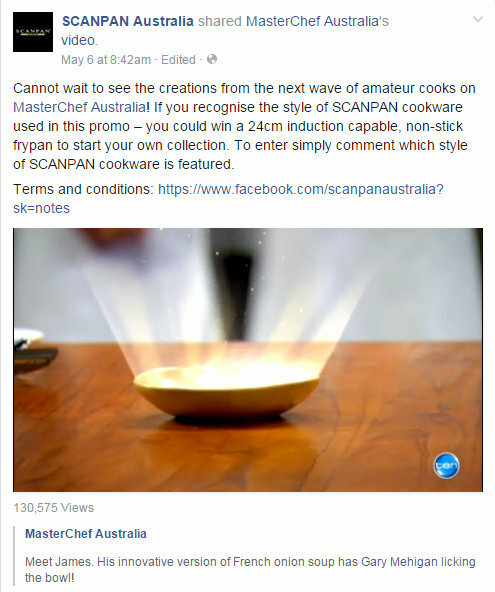 For example: MasterChef Australia, which returned for its seventh season in the beginning of May, is one of the most viewed shows in Australia and thus very desirable for sponsors. 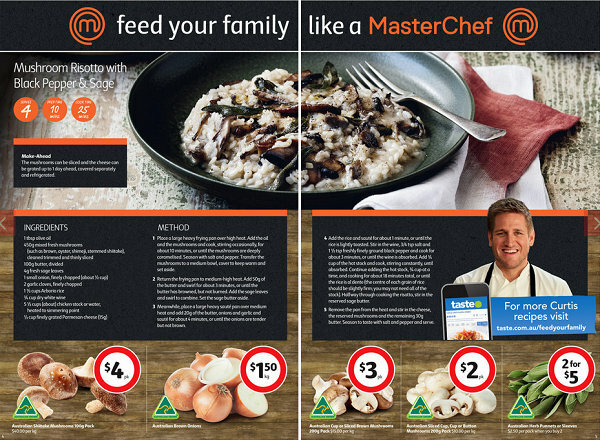 A report from 2010 shows that for a rumoured $3 million the biggest Australian retailer Coles scored a massive product placement with MasterChef Australia, a sum that has been doubled compared to the previous year. Coles had its name displayed on the studio storeroom and other in-show promotions. 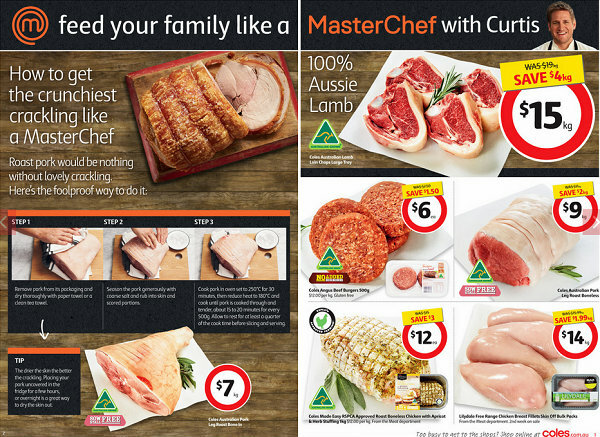 Coles also hosted in-store challenges, promoted recipes used in the show and had sponsored links on the official website. Coles is the main sponsor of MasterChef Australia in its seventh season too. The show has already been subject to various strategic product placements. Thankfully for the viewer it’s not particularly noticeable unless you know what you’re looking for. The question has to be however, does this influence decisions about the food, the equipment used and the recipes featured? And if so how authentic is the competition? Back in 2011 a Nescafe coffee machine became the first ever item to be promoted through product placement on British television. Dolce Gusto machine appeared on the set of ITV’s This Morning. According to various reports instant coffee company handed over £100,000 in a 3 month deal which saw their Dolce Gusto coffee machine placed on to the set in the background. Astonishingly the placement was as subtle as it comes and had you not been purposely looking out for it you may not have even known it was there. During the daily cooking segments of the show it could be spotted sitting behind the chef intermittently but never once took centre stage or was used as part of a recipe or on-screen cooking feature. A couple of years back entrepreneurs Anna Richey and Alla Ouvarova, founders of egg white carton company Two Chicks, managed to get a huge raise in turnover thanks to them being able to strike a deal with UK supermarket chain Tesco. It all came about because of a simple mention they received from famous celebrity chef Nigella Lawson. She name dropped and recommended the product during an airing of an episode of BBC show ‘Nigellissima’ as part of her recipe for Cappuccino Pavlova. This subtle, yet valuable ‘name-drop’ led to an astronomical boost in the company’s sales and has positioned them as one of the most sought-after egg white carton companies. There is a downside to this type of ‘forced’ advertising in cooking shows. Aside from the kitchen sets used in these programmes being peppered with various utensils and appliances that have been purposely put in place as part of these special deals it does seem to also be affecting the recipes themselves. But does a sponsored recipe really make a difference to the viewer? There is an argument that if the viewer is aware that they are being influenced to then go out and purchase specific ingredients from a certain supplier or store then they may just simply find alternatives. If that’s the case then the advertiser will ultimately lose out anyway. But in the cases where such sponsored cookery segments or recipes are being used during the shows do the producers have an ethical responsibility to provide that information to the viewer? TV watchers are all well aware of advertising techniques and how commercials are there to influence their choices but often they should not expect it from their favourite shows or series.